According to the report, the pick and carry crane market in India will register phenomenal growth over the next couple of years. 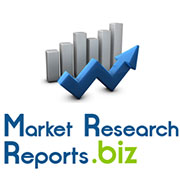 The market is projected to register growth at 18.50% CAGR during the forecast period from 2014 to 2019. The publication defines pick and carry cranes as a type of equipment used for material handling. It helps to shift, lift, and place loads from one point to another. The efficiency of the PNC cranes are measured in terms of the amount of load it carries. The quality of the pick and carry cranes is determined by technologies such as ZF and CAT. These technologies are discussed in detail in the report. Pick and carry cranes are one of the most highly used material handling equipment in India. The report has put together interesting facts, figures and information that outline that present scenario and the growth prospects of the PNC market in India. Revenue generated by individual companies operating in the market has been considered by the report to calculate the approximate market size of pick and carry cranes in India. The publication presents a comprehensive study on the pick and carry cranes market in India. It comprises information and analyses that have been prepared based on detailed market research and in-depth investigation of factors influencing the demand and supply trends in the market. It also includes inputs and insights sourced from industry experts. The report covers the competitive landscape of the PNC market in India coupled with growth prospects for forthcoming years. India is one of the fastest-growing economies globally. The country at present is witnessing rapid industrialization, which has in turn propelled the growth of the PNC market in India. Increasing number of constructions of building and infrastructural facilities in the country has bolstered demand for high capacity cranes. However, introduction of newer material handling equipments might inhibit the growth of the pick and carry cranes market in India. Nonetheless, rise in public-private partnerships will create significant opportunities for manufacturers to capitalize on in the future. In order to prepare a detailed analysis on the competitive landscape of the market, the report has profiled key vendors such as Hercules Cranes, ECEL, Yagyapriyaa Construction India, Voltas, Omega Construction Equipment, ACE, Shakti Mining Equipments, Indo Farm Equipment, and many more.